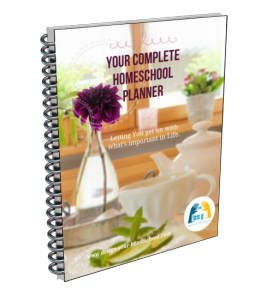 How many homeschool record keeping strategies have you tried? A notebook? A checklist? A record keeping app? Well, over the last 2 decades, I have tried quite a few, but I think that at last, I have landed on something that really accomplishes what I want in two simple pages. 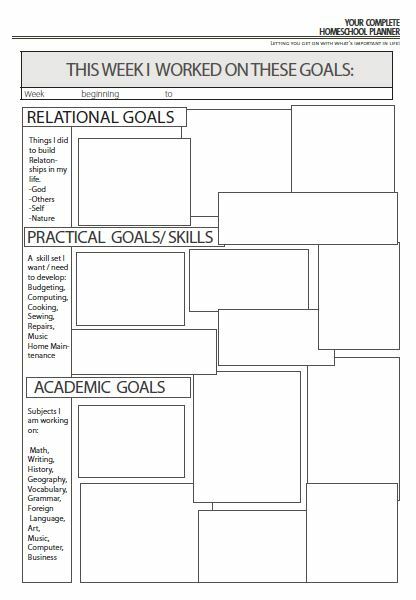 I'm sure you would agree that goal setting is an important part of the homeschooling planning process - I mean for me it's listed as the Step One : Setting Homeschool Goals! But, apart from adding comments to a comment page or writing up a journal - I didn't really address our homeschooling goals in the best possible manner. Now - I think I can do this with this simple method! What are your homeschooling goals for your family? Homeschooling is all of life! We want our children to develop in all sorts of areas - to develop and grow their relationships, to develop in practical skills and to develop academically. Homeschooling is not just academics! That is a part of what we're doing, but I'm sure you'd agree that there is far more to homeschooling than Math, Writing and Reading. These charts are a great way to really nut out what you want to achieve, what your children want to achieve and a great way to set goals for the year. 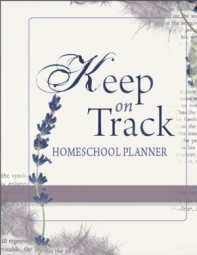 They are available in the Keep on Track Homeschool Planner. 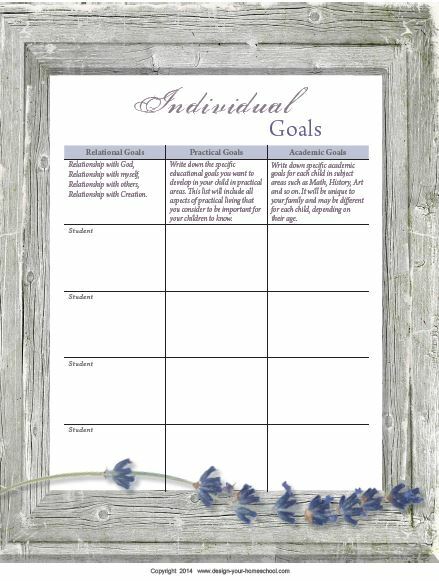 The Homeschool record keeping forms below are a great way to combine goals, a weekly assignment chart and checklist. And ... it's not just about academics. We know as homeschoolers, that we view education as a holistic experience and so this way we can also pass on the truth we believe into a concrete way of keeping records - not just for the parents, certainly not just for the authorities, but for the children themselves. Firstly, we would fill in the weekly assignment chart. This is the broad overview of what needs to be accomplished. This can be written by the parent or could be discussed and added by the student or the totally self directed student would complete it on his/her own. Then the weekly goals could be translated into weekly goals. This is a useful strategy to teach children how to actually go about finishing what they say they will do. If you're interested in setting up systems and getting a really good habit going - read and listen to what Dr. Fred Lybrand says about being productive. I really like his insights and have used a variety of his materials including pre-college courses, The Writing Course and more. More about the One Success Habit. The last page is all about looking back on the week and analysing what you learned and what you achieved - and this is where you add ALL the things you've been doing. It's not just about workbooks! It's about life - helping someone, exploring your creative side, volunteer projects, being involved with groups and so on. The best part about this is that it is so versatile. You may be traditional, eclectic or totally unschooled in your approach to home education, but one thing is for sure - you're keen that your children are being educated. No, not just academically, but educated in all aspects of life. So, using this record keeping template on a weekly basis helps you to see what experiences you might like to place in front of your children to develop certain areas. With a quick glance, you can see if they are not spending enough time with others, or out of doors, or working on practical skills, or lacking in an important academic skill. This homeschool record keeping template is the major part of the Keep on Track Homeschool Student Planner. 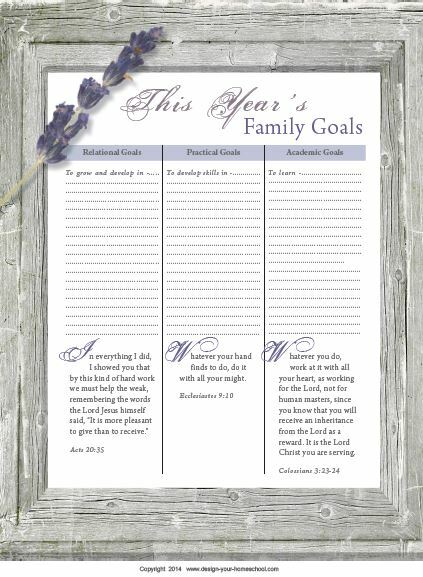 There are monthly calendar dividers, but no dates, so you can download and print it up as you need it. You can purchase it for your family for $4.95 and print off the number you need. 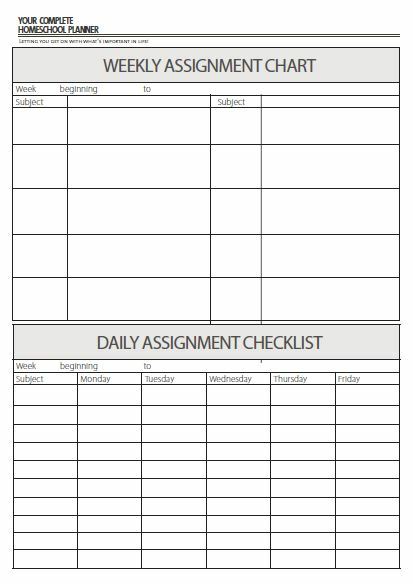 On this record keeping template, you (or the student) can fill in the details of the weekly assignments and your child can check it off day by day on the daily assignment checklist. Alternatively, you could fill in the assignments at the end of the week, looking back on what you achieved. This is especially good when your studies are delight directed. Let me know how your family enjoyed using the Student Planner. 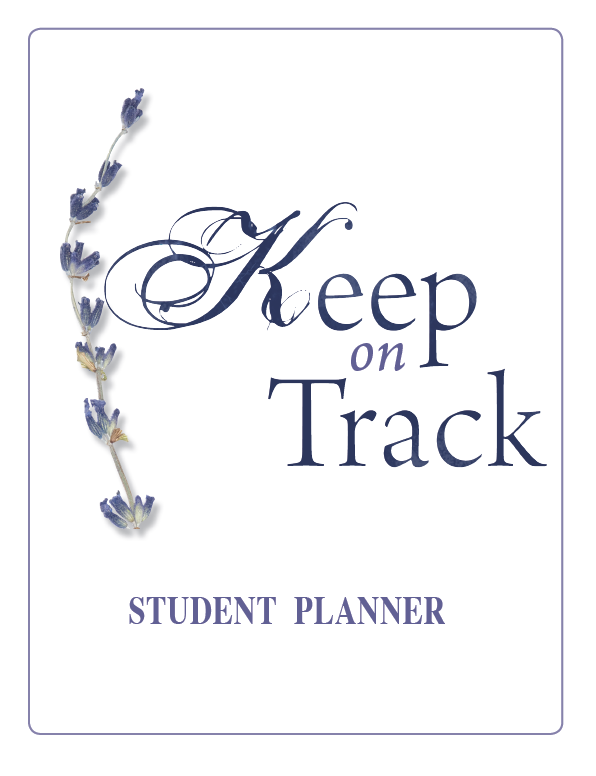 It's a great companion to the Keep on Track Homeschool Planner.